Our mountain area is finally beginning to bloom! After being covered in white for the long winter season, the sight of buds on the trees and the grass growing green and plush is rather exciting. I even got giddy over watching some ducks playing in a quiet cove last week. Spring in Deep Creek is one of my favorite times as you almost feel like you just woke up from a nice, rested nap. Anglers are beginning to visit now that docks are going in the water and to take advantage of the quiet stillness of the lake during the Spring season. 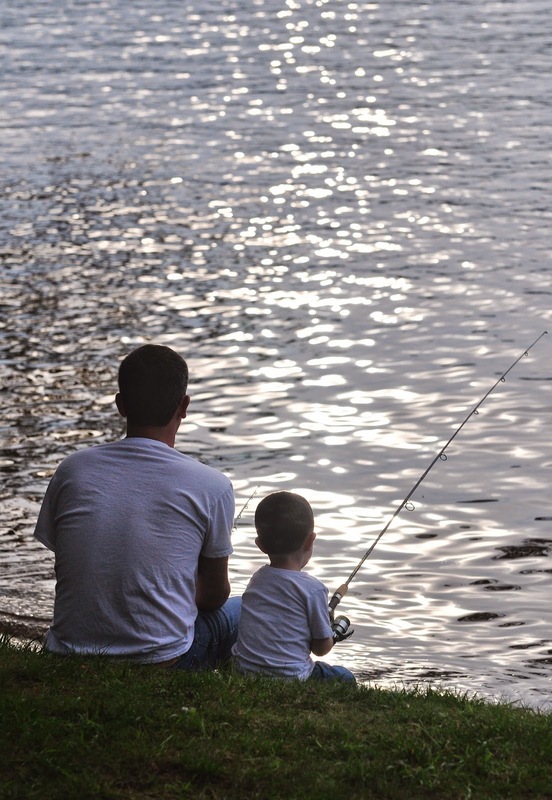 Fishing is a popular activity on the lake at this time and a good time to go, particularly if you are looking for large and small mouth bass and walleyes. Many mornings on the commute to work, you will catch sight of those that enjoy the quiet solitude of mornings spent on the lake. 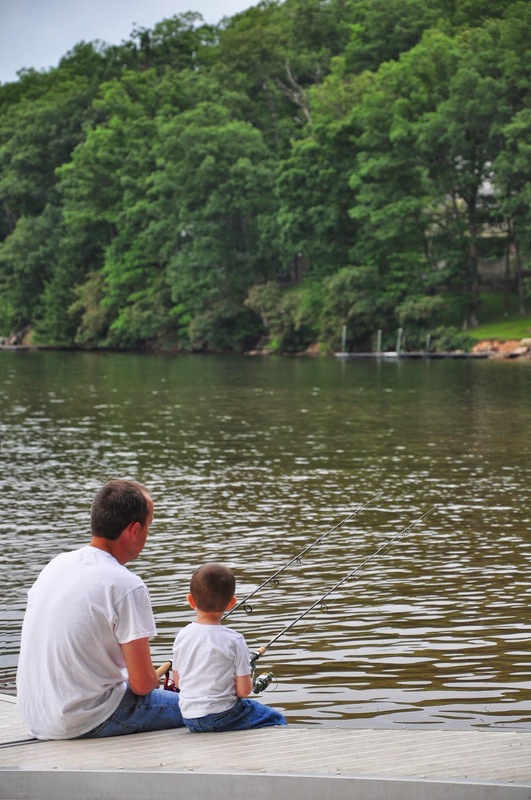 If you are planning a fishing getaway, make sure to give us a call here at Taylor-Made Deep Creek Vacations (1-866-351-1119 or online @ www.deepcreekvacations.com). We can not only help you find the perfect house for you and your party, we will search extensively to find the one has a dock slip or is located on the part of the lake that is known to be a superior fishing spot. 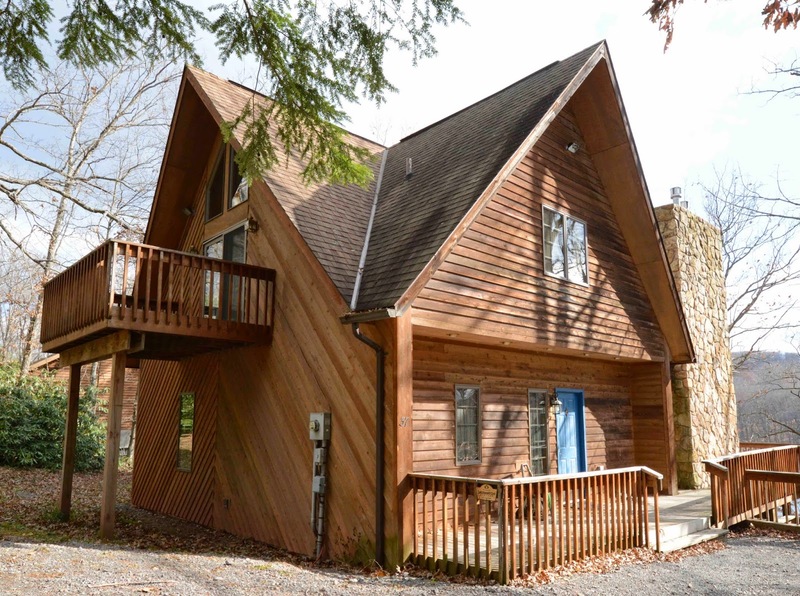 One of our smaller homes, Cross the River, is a gorgeous little two bedroom home that is located right on the shores of the Youghiogheny River, also known as a great river to fish, particularly if you’re fan of trout. Imagine spending your mornings and afternoons casting from your very own dock or from the lake’s shores. For those that have no interest in fishing, now is still a wonderful time to visit for a relaxing weekend in the mountains. Choose to spend the weekend trying out one of our numerous golf courses, go horseback riding at a local stable or head to Wisp for a ride on their mountain coaster. What’s a mountain coaster, you may ask? Basically it is a one to two person (depending on size; think adult and smaller child) coaster that winds down Wisp Mountain. You even control the speed so if you are a big wimp, like me, you can slow it down. The daredevils can go a full 28 miles per hour). It’s extremely fun and a neat thing that you can brag to your friends about! Currently many of our homes are offering 3 nights for the price of 2 through the month of May so take advantage and give us a call. A weekend in the mountains can do wonders! We can’t wait to see you at the lake! Spring has arrived! We were blessed with gorgeous weather at Deep Creek Lake over the Easter holiday and the temperatures are still rising as I type this. The trees are beginning to bud and the grass is becoming more green and lush. I’ve always been a big fan of the smell of fresh cut grass but the first time you smell it in the spring brings a sense of relief that you can hopefully pack away the winter gear and bring out the flip flops! 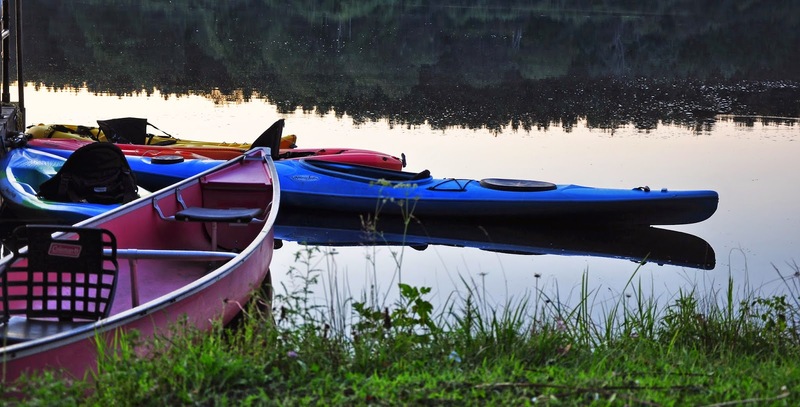 There are a lot of activities and things to do here at Deep Creek this season and the perfect time for a quick weekend getaway. If you really want to experience some of the unique qualities of our mountainous region, then you should most definitely check out one of the many local Ramp Dinners or Ramp Festivals. 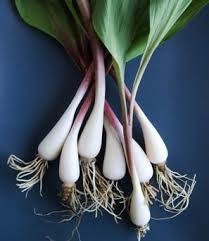 If you are unfamiliar with Ramps, they are essentially wild onions that are known for their “Stink”. Ahh, yes, these small round bulbous onions are quite pungent (to smell in general and particularly when ingested). They do however have a wonderful sweet taste. Many local chefs in our area will often creatively use them to create delectable dishes. This Saturday April 26th @ The Deep Creek Discovery Center, they will be holding their 13th Annual Ramp Cook Off where the public is invited to either submit a dish for judging or just be part of the public tasting. The event begins from 11- 1pm. A panel of judges will be judging the ramps on ramp flavor, presentation, and creativity. If you are looking for a fun family activity that also gives you a glimpse into some of our local folklore, you should definitely check it out. Golf is another fun activity to do if you are visiting us this spring. With numerous golf courses in our area, you certainly have your choice of where to play. For those that are staying in our Waterfront Greens Community, you also get free play of the 3 par community golf course. Plan a couple’s getaway and while half the party spends the day on the greens, the other half can schedule one of our local massage therapists to come to the house and do on-site massage therapy. So whether you are coming for specific event or just to get away, there is definitely something for everyone. Give us a call here at Taylor-Made Deep Creek Vacations (1-866-351-1119 or online www.deepcreekvacations.com) and we will be more than happy to help you plan your itinerary throughout your stay. The sun is shining, the sky is blue and we can’t wait to see you at the lake! April showers bring Snow Showers? This past week this was apparent but being the tough Mountaineers that we are, we didn’t even bat an eye. Here it is two days later and the temperatures are rising and it appears that we are going to have another gorgeous weekend here at Deep Creek Lake. If you have no plans, give us a call here at Taylor-Made Deep Creek Vacations and we will do everything we can to find that perfect vacation home to suit you and your friends and family (1-866-351-1119 or online www.deepcreekvactions.com). Still haven’t made plans for Memorial Day Weekend? Lake life really begins to come alive around that time. Imagine spending the weekend relaxing with friends and family while cruising around the lake on your rented boat? Sounds tempting, doesn’t it? Give us a call, we can help! We can’t wait to see you at the lake! You have procrastinated long enough and now it is time to plan your family summer getaway. Every year you do the “Beach thing” but this year, you have decided to step outside your box and try something new and different. Fortunately you had a co-worker who was telling you about this fabulous getaway that they had to Deep Creek Lake and they rented through this very reliable, friendly and easy to use company, Taylor-Made Deep Creek Vacations (1-866-351-1119 or online www.deepcreekvacations.com). 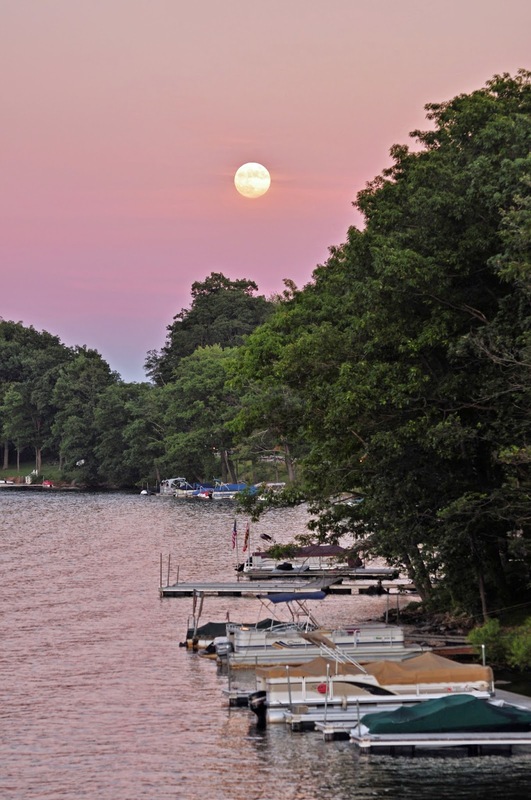 Once you find out that Deep Creek Lake is only a mere 3 hours away (yep, 3 hours from the Washington/ Baltimore area; 2.5 from Pittsburgh), you are hooked. What now? Well, you call us and we begin the process of finding the best options that will work for you and your guests. Do you have your week narrowed down? Do you know the number of guests in your party and the # of bedrooms that you need? Tell us about yourself. 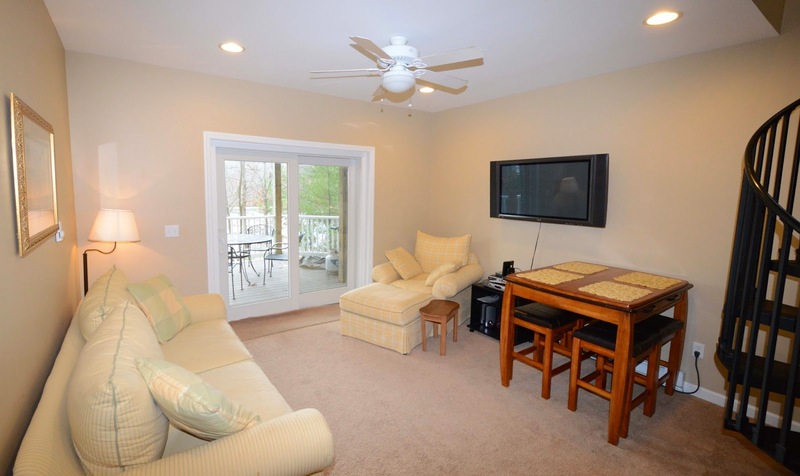 Do you want to be right on the lake or up on the mountain enjoying panoramic views? Would it be easier if the grandparents stayed in a separate small house nearby? We have many options to choose from and the best part is that every one of our Reservation Specialist has been to our homes. We are extremely familiar with not only the layout and décor of the home but we know the area the home is located, the # of steps to the water or if you have to drive to the state park. Two of our newer homes, Moondance & Little Chapel in the Woods are the perfect example for the above scenario. 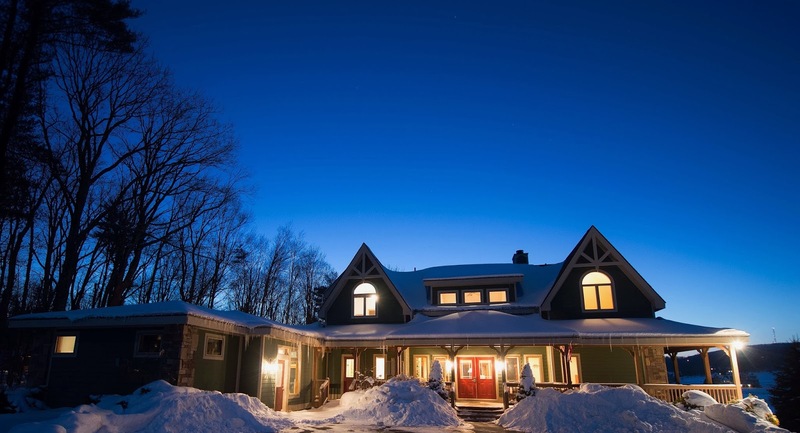 Moondance is a 4 bedroom chalet that boasts a massive stone fireplace, large wraparound deck, and multiple game tables. Little Chapel in the Woods, located next door, is a small 2 bedroom stylish home. The close location allows the family to share meals together, walk down to their dock slips together for a day of lake fun but at the end of the evening, the grandparents can feel free to retire early while the rest of the kids play billiards and stay up late watching movies. Regardless of your circumstance, Taylor-Made Deep Creek Vacations will do its very best to find the perfect home for you. Not sure where to rent a boat? What will you do on a rainy day? Where’s the nearest grocery store? 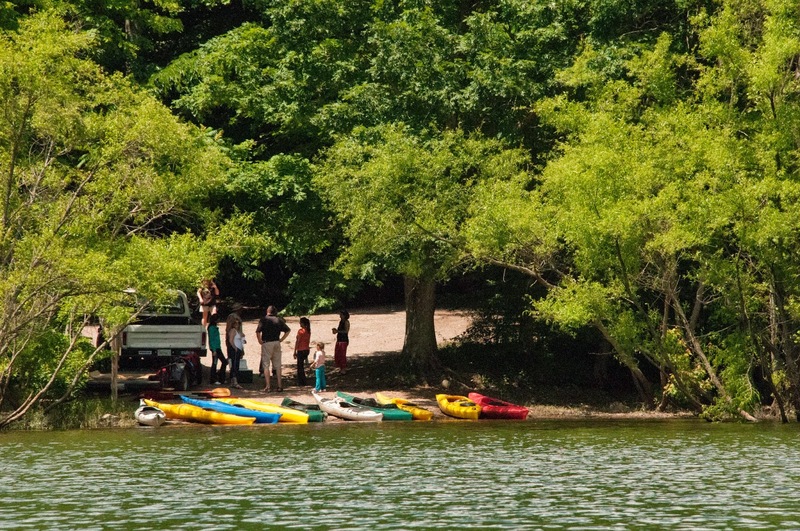 We can help you with any questions that you may have and will go above and beyond to help you plan your fun-filled Deep Creek adventure. Summer will be upon us very soon. It’s easy, it’s fun and trust me, your family will thank you. Call us today at Taylor-Made Deep Creek Vacation @ 1-866-351-1119 and let us help you plan your summer vacation. We can’t wait to see you at the lake! Ahhh, the sporadic spring season we always seem to have in these beloved Maryland Mountains. I think that this is Mother Nature’s way of always keeping us on our toes. A little bit of snow today and 50° and bright sunshine the following day. Our guests certainly can’t complain as the Wisp Ski Resort is still open and there is still plenty of snow on the mountain. If you have the chance to escape this weekend, I recommend that you do! The Taylor-Made crew just finished up an exciting week by hosting what is the start of several The Big 8 Seminar~ Tomorrow’s Ideas Today. Bringing together eight various companies involved in the vacation rental industry for 2 days of Boot Camp seminars that cover everything from customer service, housekeeping, maintenance, and more. We here at Taylor-Made are firm believers that the best thing we can do for our guests is to stay as educated and current on all things related to our industry. Having the opportunity to network and share ideas with some of the brightest and best in the business is a wonderful chance to do just that. That and it was a lot of fun. If you really want to get into the feel of spring than April is a perfect month to take the family to The Deep Creek Discovery Center. Not only is there various events held there this month but anytime is a good time to go and learn about the natural wonders of our region. This interpretive environmental center allows children to see various types of birds of our region in The Aviary or view various wildlife such as snakes, reptiles, frogs, toads, and more. Hands on exhibits include touching old fossils and looking under a microscope to check out Deep Creek’s under water ecology. If you are visiting over Easter, take the kids there to see the Easter Bunny. Bring along six hardboiled eggs and let the kids learn how to dye the eggs using all natural ingredients. This event is held on April 19th from 10 am- 1 pm. It’s a great family event so if you’re in the area, check it out! If you’re in need of a little R & R, now is a great time to visit Deep Creek. The lake is quickly thawing and before you know it you will be spotting the early morning fisherman enjoying the serenity of a Deep Creek morning. Spring is a great time to come and enjoy mountain hiking and biking as well since you get to witness the mountains reawakening. If that doesn’t convince you, it’s also a great time to take advantage of our out of season rates on your vacation home. As always, give us a call here at Taylor-Made Deep Creek Vacations (1-866-351-1119 or online @ www.deepcreekvacations.com) and let us know what you are looking for in the perfect home and we will do our best to match your needs. A few years ago, Jodi was telling me about this great new shop that opened in Accident (this is the darling little town that many of you pass through on your way to McHenry) where she bought some amazing goat cheese and wine. She suggested I check it out for a future blog. I have been hooked and a big fan ever since. The shop itself is quaint and charming with a wonderful mural spread across the back wall. Of course the first thing I noticed was the large showcase of cheeses. They have a little area set aside where they put various cheeses, crackers, and jams so that you have the chance to sample the different varieties. A large open window allows you to actually watch them make the cheese, a very interesting process to say the least. They have a nice variety of everything you want with your cheese; wine, crackers, condiments, etc. My favorite by far is the “Black and Blue” which is a black encrusted cheese with a rich, buttery taste. (Tastes great on a spinach salad) The Merry Goat Round is also a must. It’s a beautiful, soft-ripened bloomy round with a nice creamy texture. As mentioned, they will slice samples for you so that you have the chance to pick the ones that would best fit your taste. Not sure on what kind of wine would pair up nicely with your choice? Ask. The customer service is very friendly and helpful. Due to the fact that Mother Nature has decided that we still need more snow, I imagine curling up in front a toasty fireplace enjoying a glass of wine and an assortment of crackers and cheese. So, if you are on your way in to the area this weekend and are passing through Accident, stop in and try some samples. You won’t regret it. Speaking of snow, Wisp is still going strong to the end of the month. Lines are not long and we have been told that skiing is great. Give us a call here at Taylor-Made Deep Creek Vacations and we will do our best to find that perfect vacation home for you and your guests. 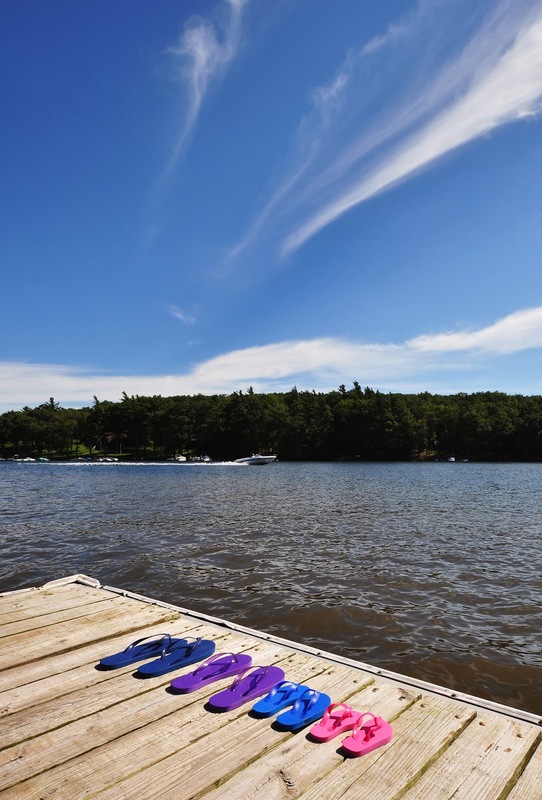 (1-866-351-1119 or online www.deepcreekvacations.com) We can’t wait to see you at the lake! Deep Creek welcomes your Furry Friends! Layla posing for a treat! One of the most frequently requested amenities that our guests request is that their vacation home be pet-friendly. Face it, when you are leaving for vacation, you hate the notion that your poor little Fluffy (yes, in my family, we lacked originality when it came to naming our pets; we once had a Guinea Pig named “Pig” ) is stuck in some cage at the shelter. Besides, isn’t he or she part of the family? Don’t they deserve to breathe in fresh mountain air and swim in the lake? Of course! So yes, many of our homes do allow pets (for an additional fee). Deep Creek is actually a very “Pet Friendly” place to bring your furry friends. Many of our state parks allow pets (on a leash, of course) so you can spend the day hiking and enjoying nature. Does your pet friendly home have a dock? Hot summer days spent in the lake are a favorite activity to be enjoyed by all including the Fluffies of the world! There are also some dining establishments in the area that allow you to sit on the patio and dine with your pets. We have a large variety of pet-friendly homes to choose from as well. For the couple’s retreat, our one bedroom lakefront cottage, Skipping Stones, is a perfect choice. It has a nice big yard and a private dock, 2 things that we know for a fact, dogs love! Need a bigger home? American Pride, is an awesome 5 bedroom home located in the prestigious community of Blakeslee. 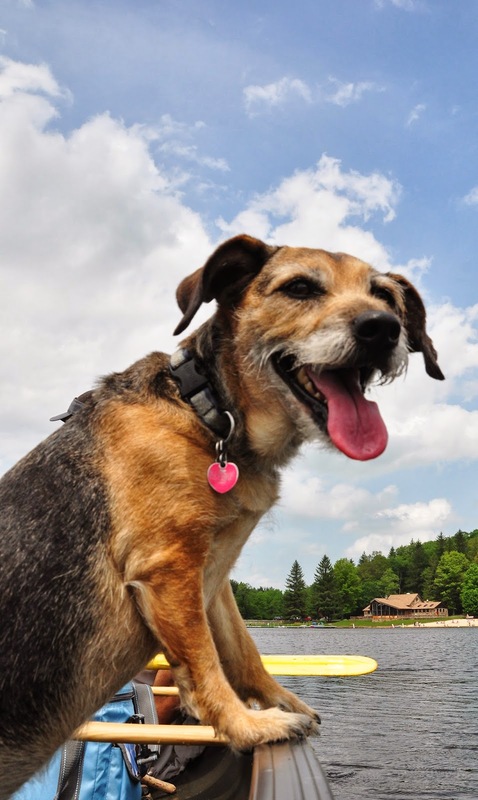 Blakeslee is known for its wonderful walking trails that wind around the lake, an absolute haven for pets and pet owners. Hate the thought of leaving your furry “Kids” at home? 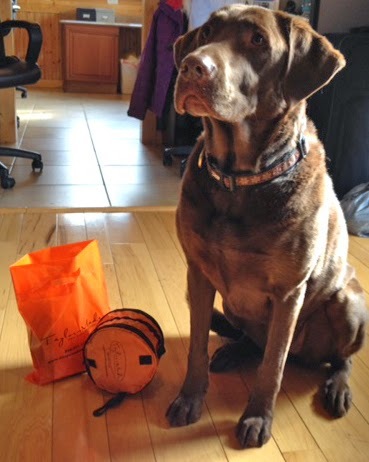 We here at Taylor-Made Deep Creek Vacations completely understand (stop into our office on a given day and say “Hello” to one of our mascots, Layla or Poe). We will do our best to help you find the perfect vacation home for you and your pet. The sun is shining, the sky is blue, skiing is prime, and we can’t wait to see you at the lake! Deep Creek Dunk~ Do you dare? It appears that we may be getting some warmer temperatures here at Deep Creek Lake this weekend with a high in the 50° realm. A universal “Yay” is being shouted, I’m sure. 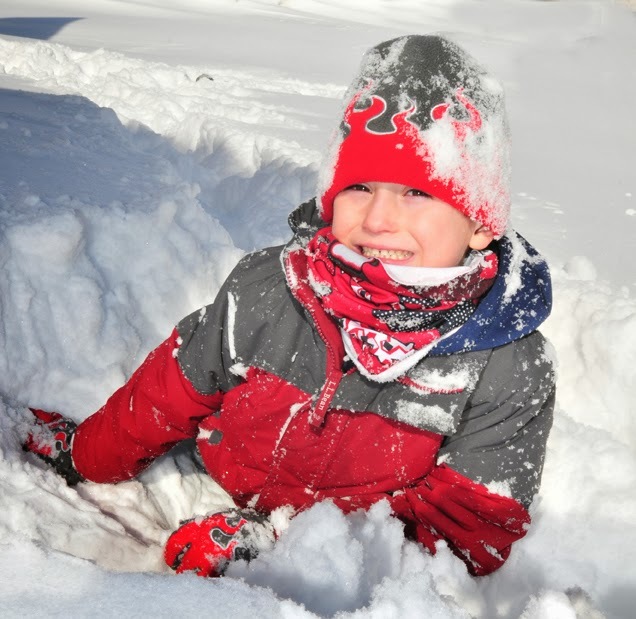 Living in the mountains of Maryland, we are used to an abundance of snow and colder temps and we take it like champs. However, this is about the time that we all begin to have flip flop daydreams or at least some hope of seeing some color other than white. The timing is perfect since this weekend is the 16th Annual MSP/NRP Deep Creek Dunk! This is such a wonderful cause to support as it helps the Special Olympics of Maryland! 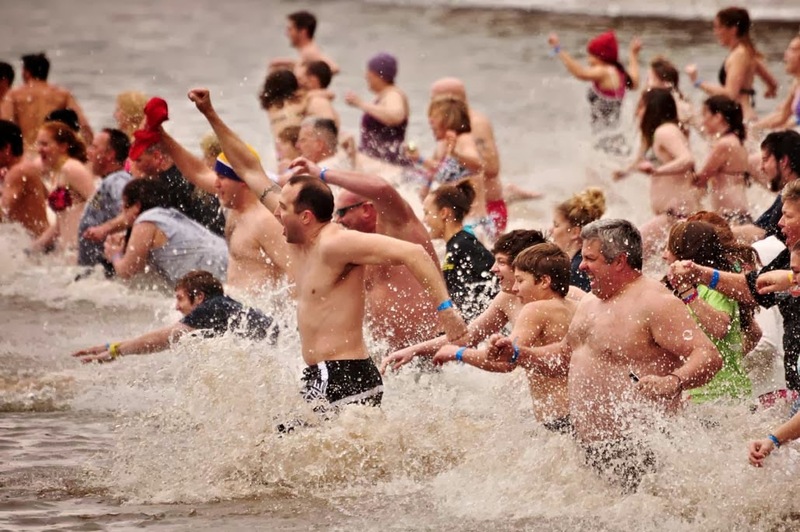 People gather donations and rally together to “Dunk” themselves into the icy and frigid waters of Deep Creek Lake! The proceeds of the event go towards helping individuals with intellectual disabilities have the opportunity to participate in year round Olympic type sports. This allows them to develop physical fitness, demonstrate courage, experience joy and participate in a sharing of gifts, skills, and friendship with other Special Olympic athletes and the community. Otherwise, the skiing conditions continue to be awesome and there is still time to take advantage of our “Stay 3 nights for the price of 2!” discount we have going on for some of our participating properties. Give us a call and let us know what you are looking for in a vacation home and we will do our best to find something that works for you (www.deepcreekvacations.com or call 1-866-351-1119). In the meantime, we can’t wait to see you at the lake.